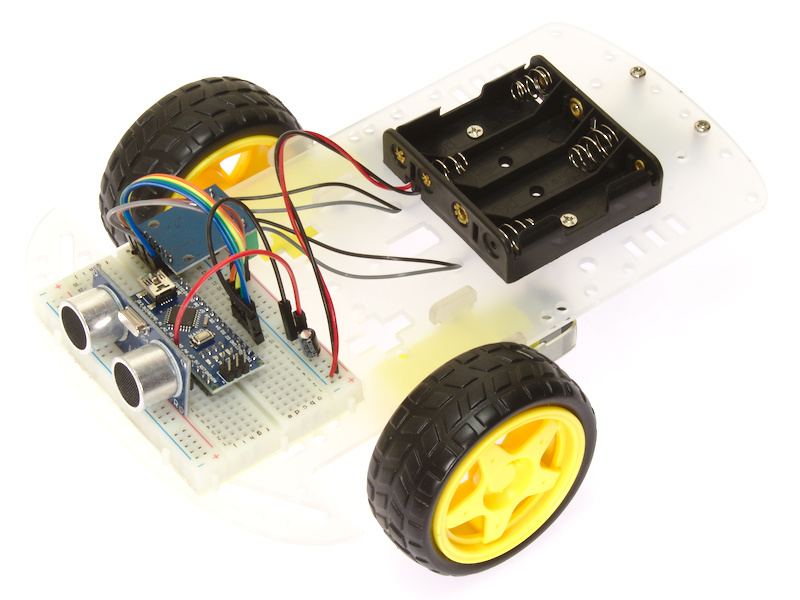 This Arduino compatible library has been written specifically for the Hobby Components Obstacle Avoidance Robot Car Kit (HCKITS0060). It is used the demo sketch shipped with the kit and also provides an easy means of controlling the robot car using your own sketches. The library includes functions for controlling the robot cars motors and for taking reading from the ultrasonic sensor. PinA is the digital pin number connected to INA of the H-Bride module. PinB is the digital pin number connected to INB of the H-Bride module. Percent is the motor speed specified in percent where 0 - full stop and 100 is full speed. FORWARD - Motor will rotate in the forward direction. REVERSE - Motor will rotate in the reverse direction. Echo is the digital pin number connected to the Echo pin on the sensor. Trig is the digital pin number connected to the Trig pin on the sensor. Power is the digital pin number connected to the Power pin on the sensor. Gnd is the digital pin number connected to the Gnd pin on the sensor. I've just checked it and it seems to be working fine for me. Where you logged in when you tried to download it? I get "can't establish a secure connection to forum.hobbycomponents.com"
Ah ok, glad you managed to fix it. Not seen that issue before but interesting to know an AV (Avast at least) can interfere with the downloads on this forum. I'll keep it in mind in case anybody else has the same problem.